A one-off handmade with love at Kacha Stones. 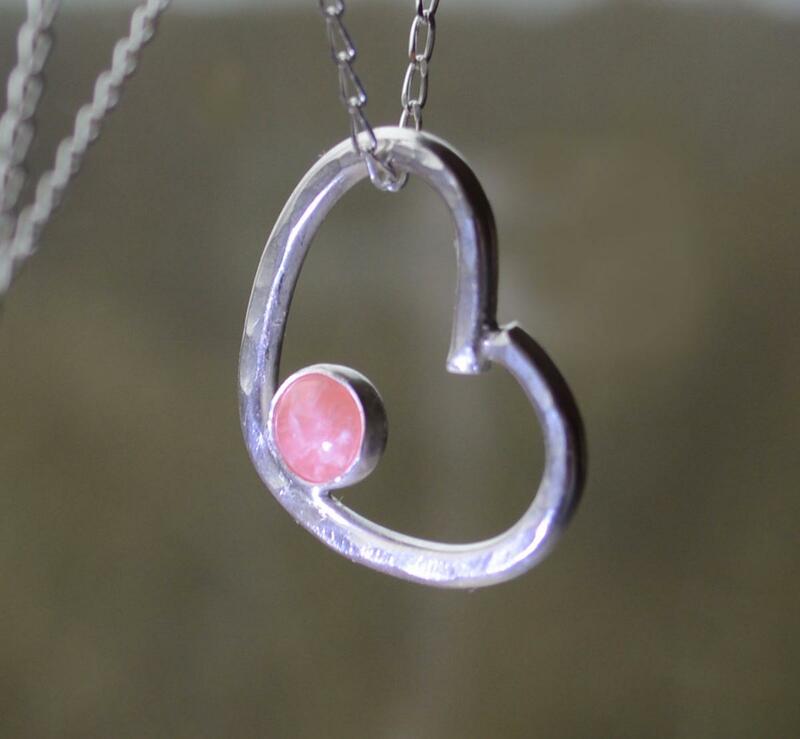 A 5mm rich pink rhodochrosite in a textured sterling silver heart on an 18" sterling silver chain. "Rhodochrosite has been called a "Stone of Love and Balance", providing balancing and love on all levels for all bodies. It contains pulsating electrical energy which emits the strongest power in the universe, the power of love. Rhodochrosite is also an Earth stone for healing of the Earth and for showing love to the Mother of us all. It helps one to serve the planet in Her time of need, allowing for one to recognize that the responsibility is actually a joy. It removes tendencies toward avoidance or denial and helps one to be willing to both accept and to integrate "new" information while maintaining clarity of intellect and a moderate ideal of practicality." Melody, Love is in the Earth.